My favourite is the KMPlayer. I think its far better than VLC. It has tonnes of advanced features and options to tweak the video and audio play back as we wish. Renders everything very well while supporting almost all kind of video and audio formats out there. Must give a try, worth it. I've heard about KM player too. But never gave it a try. I don't play media files or watch movies on my computer (use it mainly for work). Is KMPlayer available on Mac? As far as I know, there is only Windows version available. No Linux or Mac versions. That seems to be a big down side. But its perfect on Windows. I like the UI on Mac. It takes the OS's default chrome right? No no. When I installed VLC in my laptop, it was showing a record button above play button. I was using it as a song cutter, just recording the part which I want to. I can only confirm it when I will install it on my laptop that the new one have it or not. I understand because I also have some confusion. 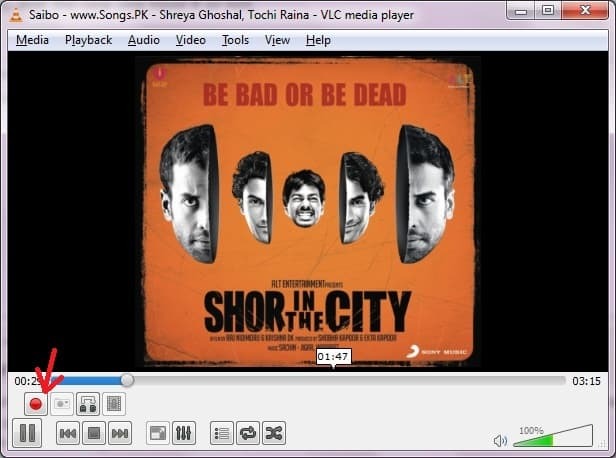 Same version of VLC on 64 bit showing record button but on 32 bit it is not there. I will try to post a snapshot of the same. I am able to see the record button....but I guess, the feature is not working. Can you tell me how to use this feature ? I haven't installed the latest one but in previous version it was working very fine. Just press the button on the moment from where you want to copy and again press the button if the part you want is over. I think it goes to my documents or you can search for "VLC snap". Sorry my mistake. Try for "vlc-record" instead. Just used to cut a movie song. And perhaps it goes to My videos section.